It feels like I have been running a mile a minute throughout this week. I was able to get to a yoga class this morning and it was so amazing to just shut everything off and breathe for 75 minutes. When our schedules are jam packed, taking care of ourselves and getting in a few minutes of calm and quiet is almost unheard of, but if you make the space and time, you will be so glad you did. I sure was this morning. As I said, I have been on the go a lot this week. 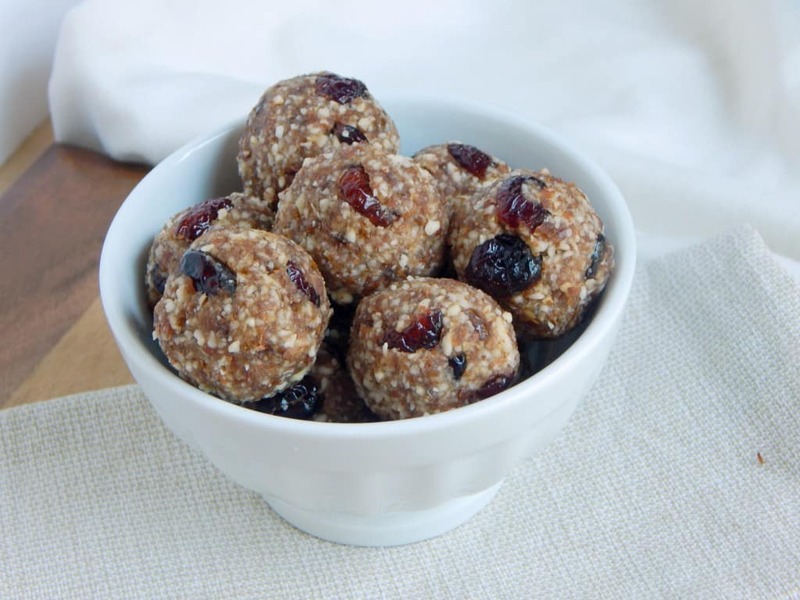 Thanks to these Cranberry Vanilla Energy Bites, I have been able to stay fueled and energized. It’s so easy to get caught up in that “I’ll just grab another cup of coffee” mentality to energize, but have you noticed that when you do that it often doesn’t have the effect you were hoping to get? Even when life gets busy, try to fuel yourself. Skipping meals is a big no-no for me because I know where that leads. A fueled body can keep up with all the things on the to do list and maybe even with a little bit of energy to spare. These bites have a nice light flavor. I make my own vanilla extract (which by the way is sooooo easy and cost effective if you use vanilla like I do) so the vanilla flavor is strong and really brings the recipe together. If you don’t make your own extract, no worries! They will still be delicious, I promise! When I do dried cranberries, I always get them sweetened with juice instead of sugar. You can typically find them at Whole Foods or other stores with big natural food sections. I found some at Fresh Thyme and Jungle Jim’s which is a local store here in Cincinnati. 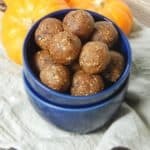 It’s just another way to cut out the refined sugar and keep the recipe extra clean. 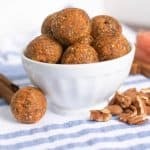 Make a big batch of these energy bites and keep a stash in your purse or at your desk at work for those times when you need the extra boost to fuel the rest of your day! In a food processor, process almonds until a fine grainy consistency. Add dates, vanilla, cinnamon, and salt and process until a dough forms. If it seems a bit dry add just a touch of water and process. 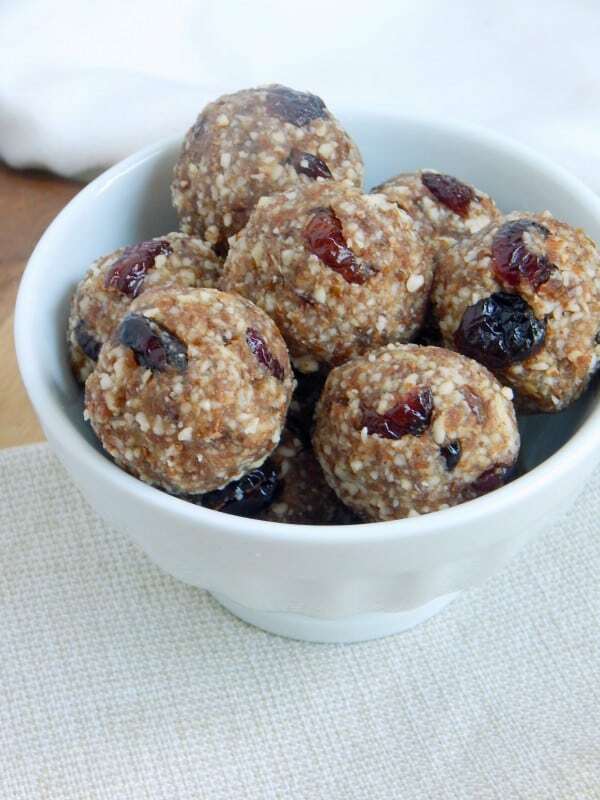 Stir in cranberries and then roll into bite sized balls. You can also press into a pan if you prefer bars. Chill for about 15 minutes or so and then enjoy! To sweeten can I use honey instead? Would it be 3T still? Hi Natasha! I buy the cranberries already sweetened with juice. That’s how they come. Sometimes cranberries come sweetened with refined sugar which I try to avoid if I can. You don’t need to add anything to the cranberries though. Whatever kind of dried cranberries you use, it will be 3 T.
Do you have nutritional info on these? Hi Teri! I don’t count calories so I usually don’t add up the information for them. Each batch makes about 15 so you can always plug in all of the ingredients into a calorie calculator and divide by 15 or so to find out. Thanks!